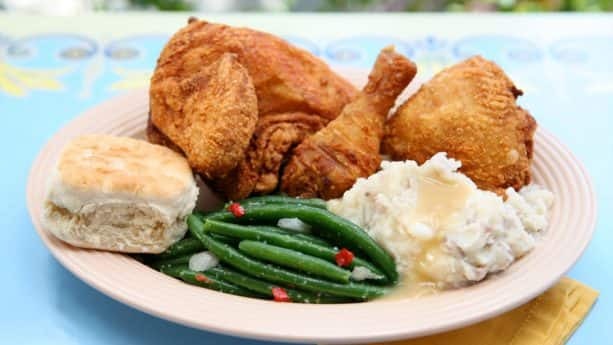 If you love fried chicken, Disneyland Resort has you covered! To express your love for this delicious dish and in honor of National Fried Chicken Day on July 6, you’re invited to join in on the fun during the inaugural Fried Chicken Celebration, taking place July 6-8. 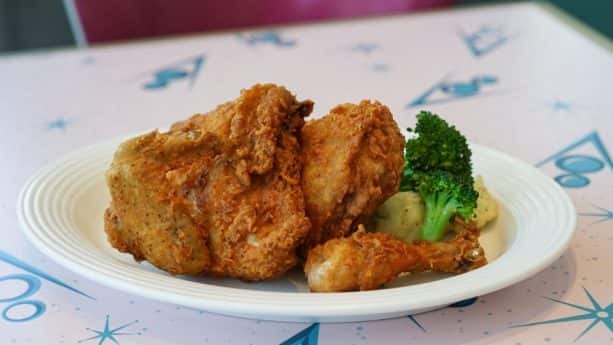 Fried Chicken can be found in two locations at the Disneyland Resort: Plaza Inn at Disneyland park and Flo’s V8 Café in Disney California Adventure park. Both restaurants are fan-favorite dining experiences, serving their unique take on this all-American specialty! So what’s the big deal about our fried chicken? 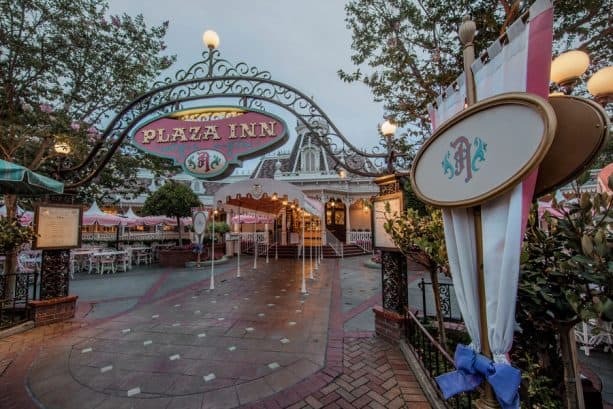 The Plaza Inn, formerly known as the Red Wagon Inn, has been feeding Disneyland park guests since opening day. 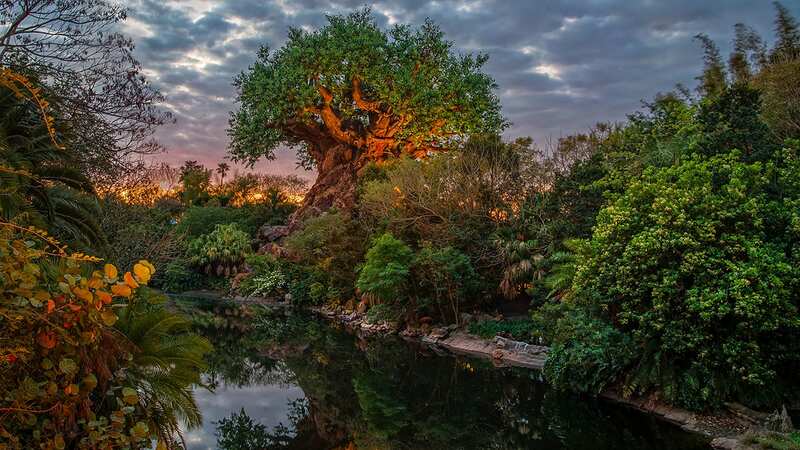 Walt Disney’s wife Lillian handpicked many of the restaurant’s authentic 19th-century interior furnishings, creating a lavish Victorian setting. The restaurant’s signature chicken plate features three pieces of herb-seasoned fried chicken served with mashed potatoes, mixed vegetables and a buttermilk biscuit. 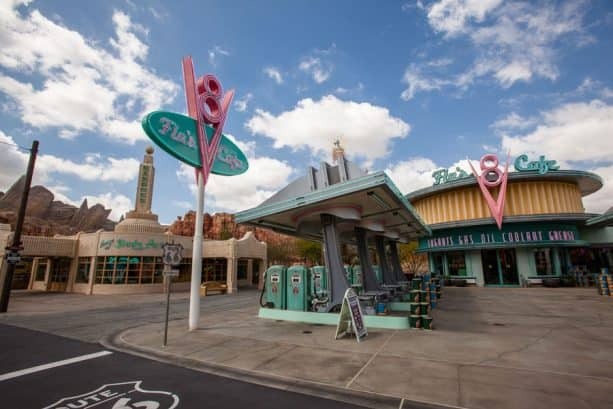 Flo’s V8 Café is a Route 66-inspired diner set in the middle of Cars Land. This nostalgic pit stop features automotive touches, including vintage-style gas pumps and tailpipe light fixtures! Flo’s Famous Fried Chicken is served with roasted garlic mashed potatoes, gravy and seasonal vegetables. Join us throughout this summer—and especially July 6-8 in honor of National Fried Chicken Day — as we celebrate our favorite fried poultry dishes. What’s your favorite spot to enjoy fried chicken? Follow along and join the social media conversation using #FriedChickenCelebration. We eat at Plaza all the time! Will there be swag? 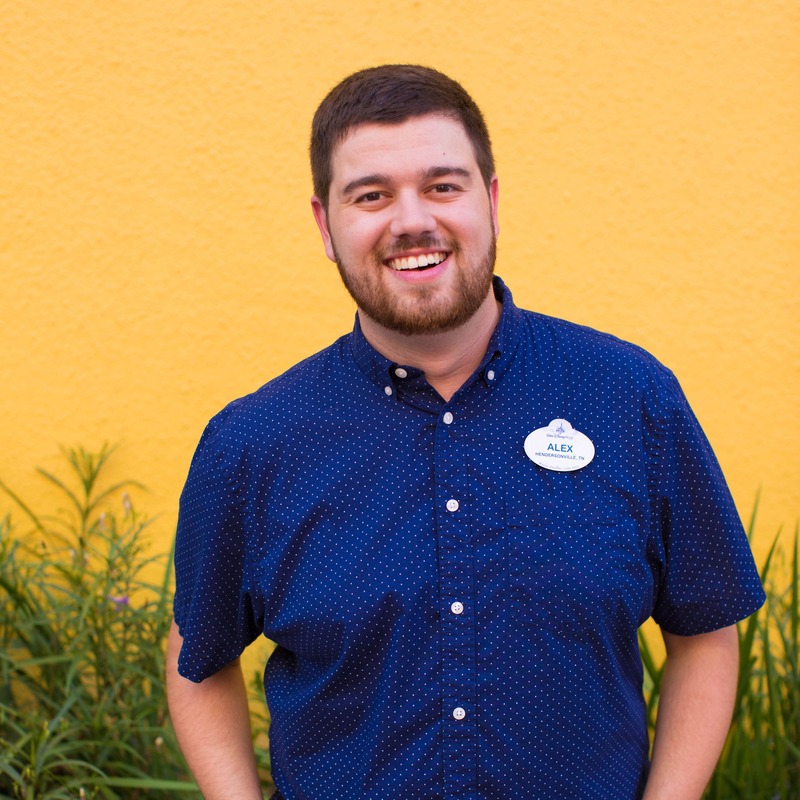 I had so much fun working at the Plaza Inn. Besides the best fried chicken, a super friendly cast member used to play the harmonica to serenade the guests and wish Happy Birthday to guests. Carnation Cafe has amazing fried chicken! How can this possibly not be on your list? It’s our favorite fried chicken in all the resort! You forgot a new 3rd location. What about the Chicken Drumstick Box at Poultry Palace on Pixar Pier?